Macara Park is looking ready for Summer! This month we’ve been busy doing some ‘hands on’ work in Macara Park with the Friends group. 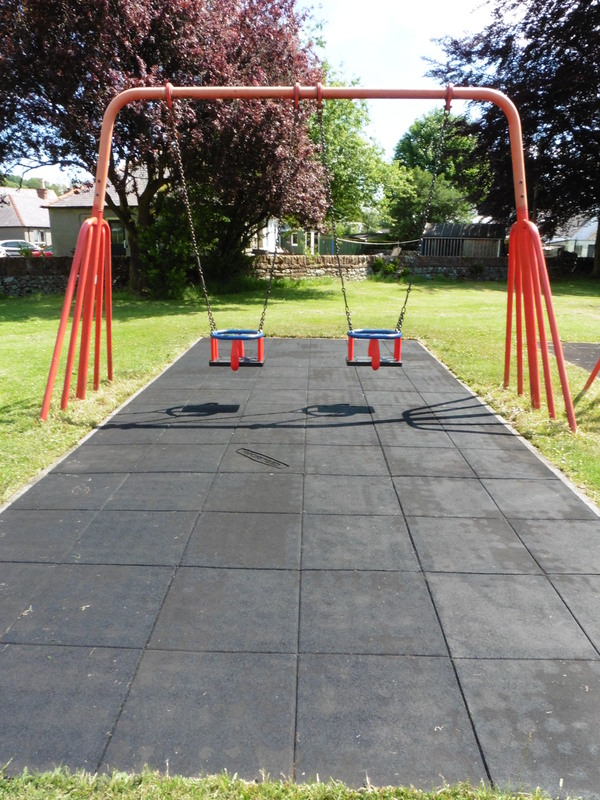 Following on from a number of comments from parents regarding the slippery condition of the safety surfacing under the childrens’ play equipment, our volunteers decided to roll up their sleeves and tackle the issue. 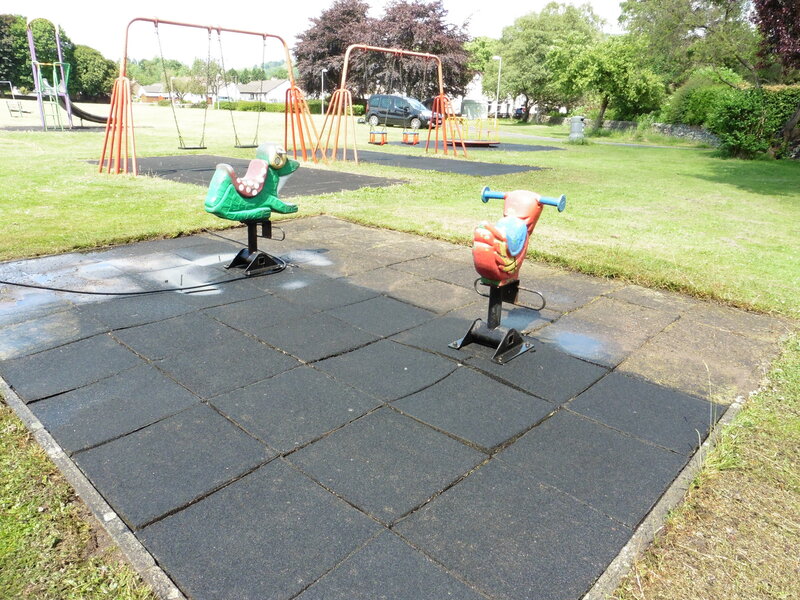 We spoke to the supplier of the safety surfacing, and then to D& G Council (who inspect and maintain the equipment) and agreed that the first approach should be to clean the surfacing thoroughly with a pressure washer (no chemicals, just water). The job took much longer than originally anticipated, but we think the results are worth the effort. 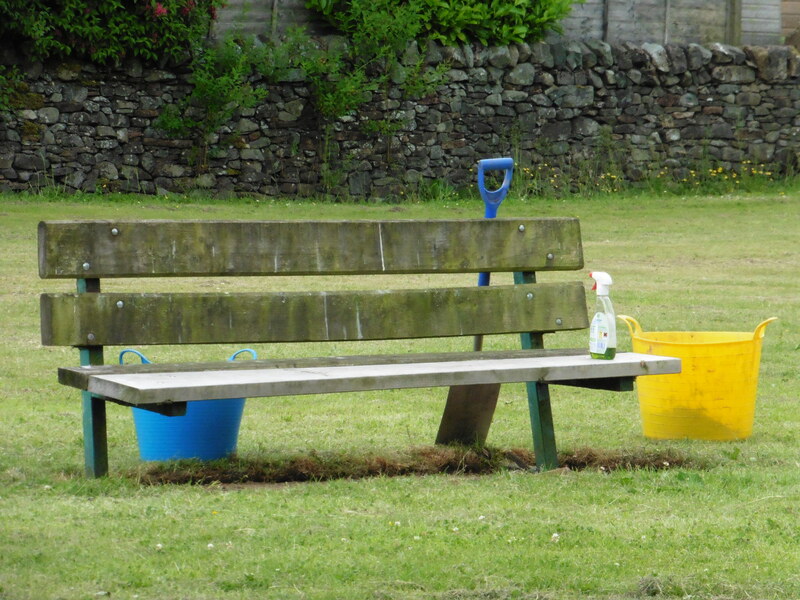 We also did a bit of weeding, cutting, and general tidying, to ensure that the play equipment, the benches, and the Park in general is ready for summer. 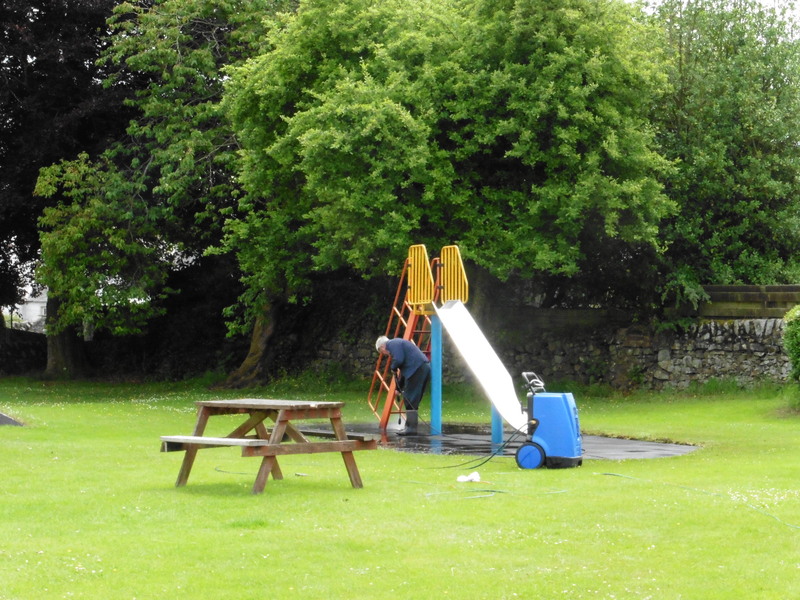 We would like to say a big thank you to Dave, who spent many hours operating the pressure washer, but also to everyone else who lent us the necessary equipment or helped with the tidy-up. Now all we need is for the sun to come out!